Trivandrum, 8 February 2012: The Kerala Motor Vehicles Department has opened its official Facebook account and page for accepting complaints and suggestions from the public. 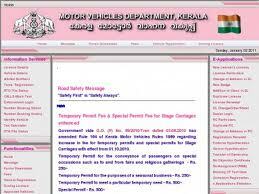 The Kerala MVD will now accept complaints in the form of posts, photos and videos uploaded by users. The posts thus uploaded will be handed over to the corresponding motor vehicle offices and necessary action will be taken by the department. The department plans to accept photographs and complains regarding the issues of accidents, traffic rule violations, over speed of vehicles, bike stunts, etc. The system of accepting complaints via social networks has been a success in metro cities like Delhi and Mumbai. In Kerala, the received posts will be processed at the nodal office at Ernakulam.